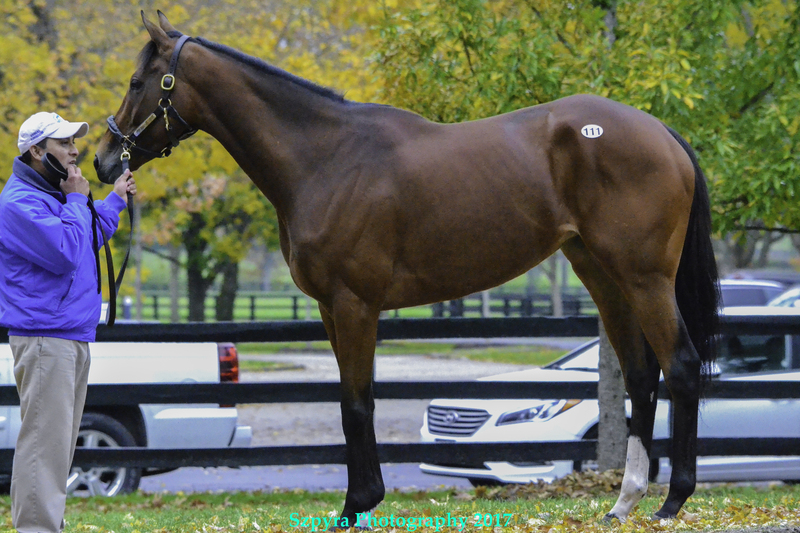 The Fasig-Tipton November sale produced some of the largest fireworks in history when Songbird sold for a healthy $9.5 million and Tepin sold for $8 million not long after her. However, as much as I enjoyed seeing these mares and being witness to their record breaking nights, I fell in love with a different mare. She wasn’t a superstar, she didn’t draw all of the media, but she was one of the most beautiful horses that I had ever seen. 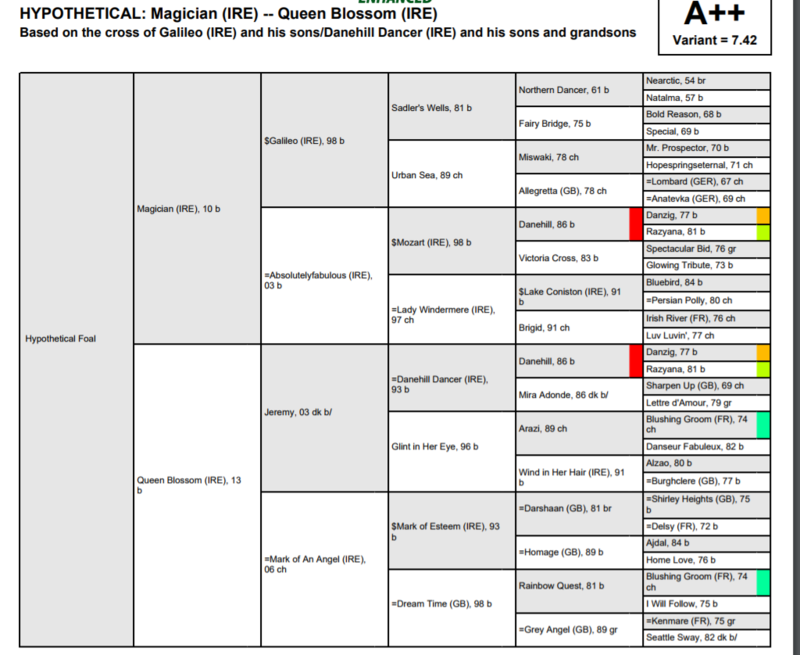 Queen Blossom (IRE) is a gorgeous mare by Jeremy out of the plucky black-type racer, Mark of An Angel. A group stakes winner in Europe and stakes placed in America, she went through the sale as a racing or broodmare prospect. She stood out in the ring as well, as she calmly stood where many had a meltdown under the lights and noise of the auctioneer’s stand. Her final price was $220,000 and she went to Abbondanza & Medallion Racing. The latter is the brain-child of Taylor Made Farm, an operation known for their stallions and fan-friendly environment; suggesting that she will remain in America and might even race again before retiring to a new life as a broodmare. Abbondanza is also American based, so the prospect of being able to see her again in the future is quite exciting. A granddaughter of Danehill Dancer, those great turf genes sit much closer than most other mares that make their way to America and she certainly has a build that American horses don’t display thanks to the dirt preference in the breeding sheds; many great turf stallions go unsupported and not through any fault of their own. As a son of champion Danehill Dancer and a direct descendent of Highclere, the family of Deep Impact and Nashwan, Jeremy was bred to be a champion. His loss was a devastating blow to the racing world, as one only needs to look at the success Deep Impact has experienced in Japan before the thoughts of “what could have been for Jeremy” begin to swirl. However, his daughter will carry his flag proudly and I hope that she gets the future she deserves; one that has a date with Magician (IRE), my favorite turf stallion. Awesome. You sure know your bloodlines. Thank you! I just like that they nick so well and that so many of the “problem crosses” are far enough back to not really be a problem. Magician would be such a great match for her; she’s so tall and he could bring the foal down a bit while giving some kick. He ran the second fastest Turf time ever at the BC @ Santa Anita. My personal bias aside, I think he gives great value for the form he has: Grade/Group 1s all over the place and he’s only $7,500 LFSN.